Just extended our Winter Specials until 3/08/2011. Come and take advantage of our BEST prices of the year. Up to $75 off per night! Reserve weekdays (Sun-Thur) between 1/2 - 3/8 and receive special rates listed below, two night minimum. Discounts apply to both cabins. 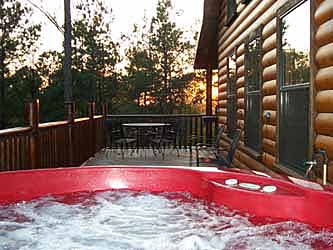 Reserve weekends between 1/2 - 3/8 and receive special rates listed below, two night minimum. Discounts apply to both cabins.